which we customize to meet your specific needs . . .
We use WordPress and the StudioPress Genesis Framework for all our websites. We can set up and customize your new WordPress theme according to your specific requirements. WordPress is a full content management system that puts you in control of your website, allowing you to easily add content and make updates. The WordPress themes available from StudioPress display beautifully on mobile devices and are specifically designed to be “mobile responsive,” allowing your theme to automatically adapt to any mobile device on the market. Please note that the Genesis Framework and theme is purchased separately from StudioPress and is not included in our pricing. The current cost for the framework and one theme is $99.95 and gives you unlimited updates, support, and more directly from StudioPress. Of course, we are available as well for support if you would prefer working directly with us. Please contact us for a proposed bid, or to simply get some ballpark ideas about potential costs. • Installing WordPress on your preferred web hosting service. We can offer suggestions on web hosting services to use if you wish. 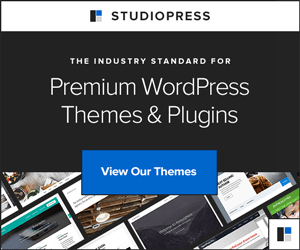 • Installing the Genesis Framework and your WordPress theme chosen from the StudioPress themes page. We can assist in helping you make a choice. • Configuring the theme per the theme author’s recommended settings. • Setting up the home page with your content or the theme’s demo content. • Setting up an About Us page with your content. • Setting up a Contact page with a form pointing to your contact email address. • Setting up your website/business name in the header area as text, or using your logo (some size restrictions may apply with your logo to use some themes “as is”). • Adding your Google Analytics code to track website traffic. • Setup sidebar features (for themes that support sidebar) such as blog archive, search, featured product, etc. That “little rainbow ball” keeps spinning? A video you want to see won’t play? Server not found? An installation failed? Can’t get to the Apple Genius Bar right now? That’s because Will really is a great troubleshooter, relentless about figuring out those pesky and frustrating technical issues we all confront. If you need help with these vexing and perplexing glitches, we’d be glad to let you know if we can be of help. Very often, though not always, Will is able to guide you—by phone—to successful resolution of your problem!